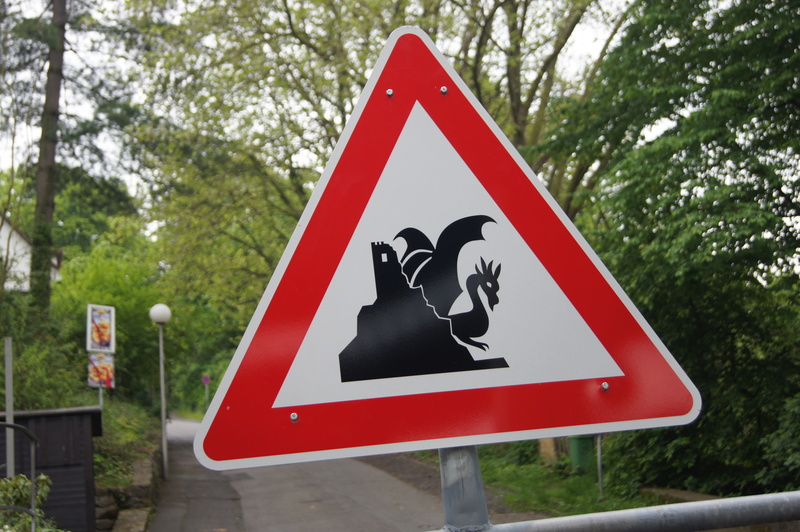 This morning we met Maike’s parents Elizabeth and Joseph, who are also lovely, and had very kindly taken a day off to take us to find the Dragon that lives in a cave at the Drachenfels. The Drachenfels is a 320m high hill which is about 30klms away from Koln, next to the village of Konigswinter which is on the Rhine. The Drachenfels is close to the Rhine and upstream from Koln and was the source of much of the rock for the Dom. At Drachensfel there is a car park is under the autobahn and there is a visitor’s centre. At the visitors centre there is a cog railway that takes you to the top where there are ruins of a monastery. We sat in the ruins and admired the view of the Rhine and over Bonn. We looked for the dragon but it must of been hiding. Sophie was glad of this because Chris told her that the Dragon will eat the smallest child it can find. 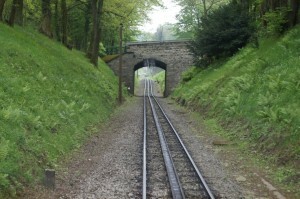 After taking in the view we took the cog railway halfway down the mountain to Schloss Drachenburg. 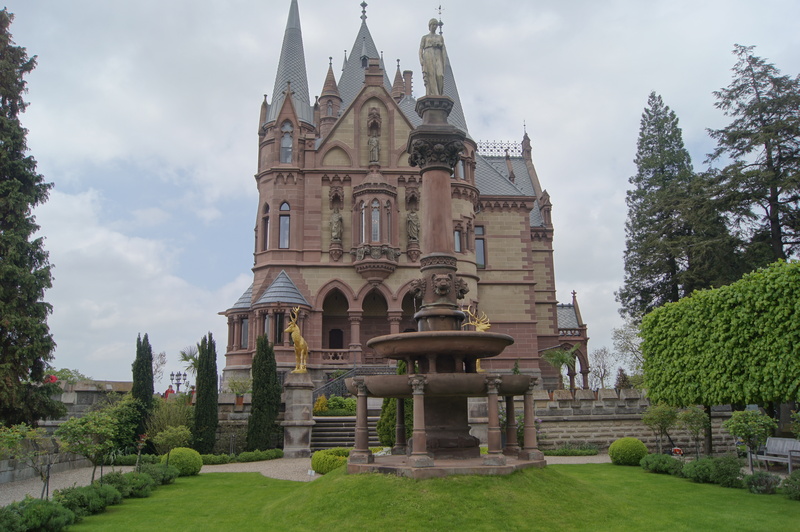 Schloss Drachenburg is a private castle built between years 1882 and 1884.owner then owner Baron Stephan von Sarter (1833–1902) a broker and banker planned to live there, but never did. After visiting the dragon castle we took the cog railway back down the hill and drove to Maike and Lucas’ apartment for a dinner of quiche and salad. After dinner we packed enough gear or overnight and spent the night at Maike’s mum and Dad’s place in a village about 40 mins from Koln called Katzen.